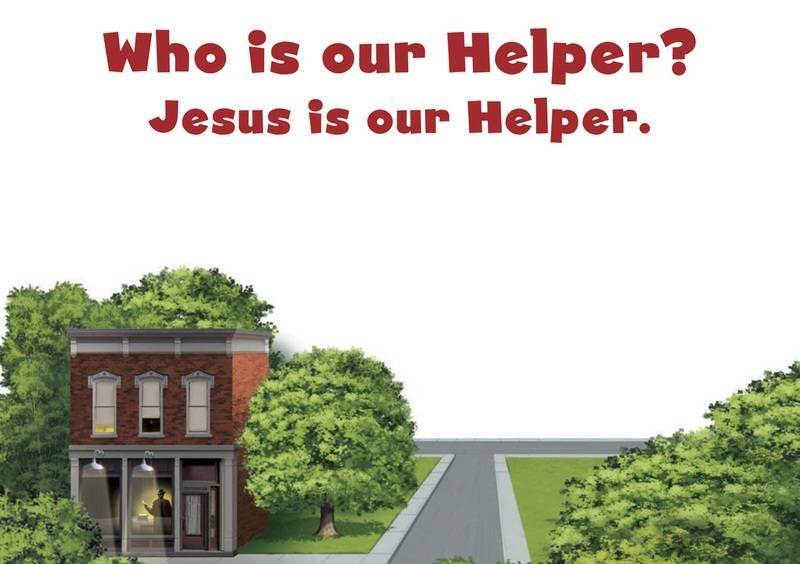 This week in The Gospel Project for Kids our journey is taking us for a look at stories that hint of a coming Savior, Jesus Christ. 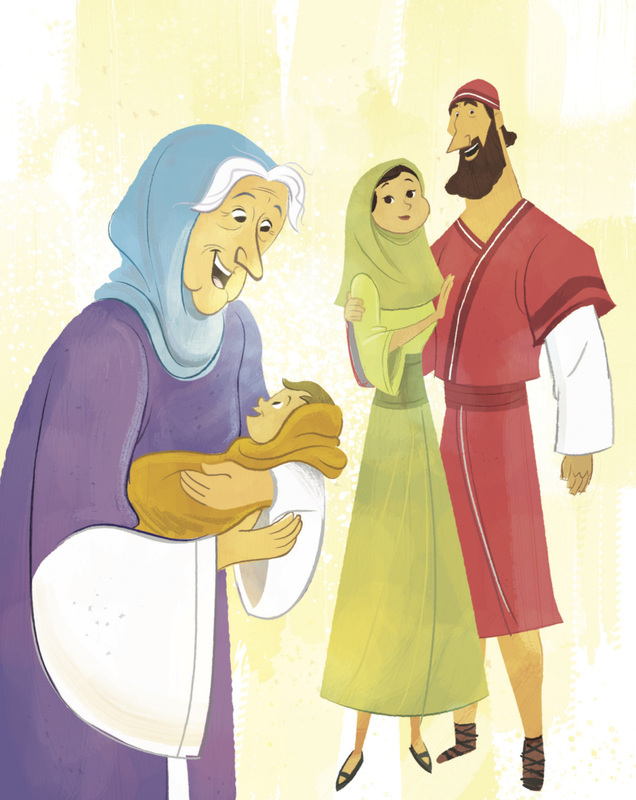 Today’s story is about Ruth and Boaz. Ruth was the daughter-in-law of Naomi, a woman from Bethlehem who had moved with her husband and sons to escape a famine in their town. After the husbands of both Naomi and Ruth died, the two women moved back to Bethlehem to Naomi’s family’s land. Ruth went to gather grain in the fields of a man named Boaz, who turned out to be a family redeemer. The role of the redeemer was to take care of close family members when they were in trouble. Since Ruth and Naomi were both women, they would not be able to inherit the land previously owned by Naomi’s husband. As family redeemer, Boaz had the right to marry Ruth and claim the property and responsibility for himself. Boaz did just that and took care of Ruth and Naomi. Ruth and Boaz soon had a son whom they named Obed. Obed was the grandfather of King David. Through David’s line, God sent the perfect Redeemer in the person of Jesus Christ. We need help because we sin; Jesus bought our salvation for us by taking our punishment when He died on the cross. Naomi lived in Bethlehem in Judah with her husband, Elimelech, and their two sons. 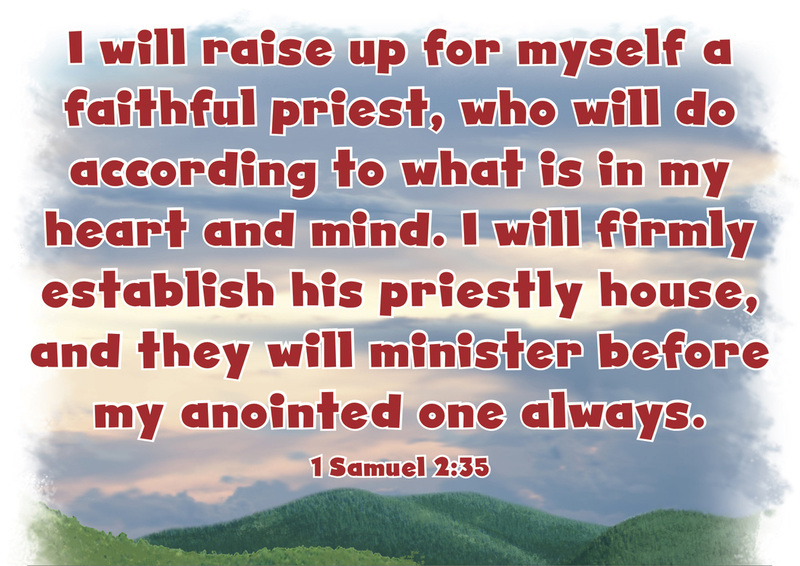 At that time, the people of Israel were ruled by judges like Gideon, Samson, and Deborah. There was a famine in the land, so it was difficult to find enough food to survive. Elimelech and Naomi decided to go to Moab and live there for awhile. While they were in Moab, Elimelech died. Naomi’s sons married Moabite women, Orpah and Ruth. They lived in Moab for 10 years, then Naomi’s sons died. Naomi, Orpah, and Ruth were all alone. The famine had ended in Judah, so Naomi decided to return. Orpah and Ruth went with Naomi, but Naomi encouraged them to return to their families. Ruth clung to Naomi. “Wherever you go, I will go, and wherever you live, I will live; your people will be my people, and your God will be my God,” Ruth said. So Naomi returned to Bethlehem with her daughter- in-law at the beginning of the barley harvest. Naomi gave Ruth permission to go into the fields and gather fallen grain. She happened to go to the field of Boaz, a good man from the family of Naomi’s late husband, Elimelech. Boaz saw Ruth in his field. He had heard how kind Ruth was to Naomi, staying with her after her husband died and leaving Moab to travel back to Bethlehem with her. Boaz told Ruth to stay in his field where she would be safe. Boaz made sure Ruth had enough food. Ruth gathered plenty of grain in the field. She returned to Naomi and told her about Boaz. “Boaz is one of our family redeemers,” Naomi replied. A family redeemer was someone who would help his close relatives if they were in trouble. Naomi knew Boaz would take care of Ruth, so she encouraged Ruth to stay in his fields. Naomi wanted to make sure Ruth had a husband to care for her, so she gave Ruth special instructions. Ruth put on her best clothes and laid down near Boaz’s feet. In this way, Ruth showed Boaz that she hoped he would marry her. Boaz was surprised to find Ruth at his feet. “You are a family redeemer,” she said. Boaz promised to redeem Ruth, which meant he would buy back the land that Naomi sold after her husband died, and he would marry Ruth. He gave Ruth grain and sent her back to Naomi. 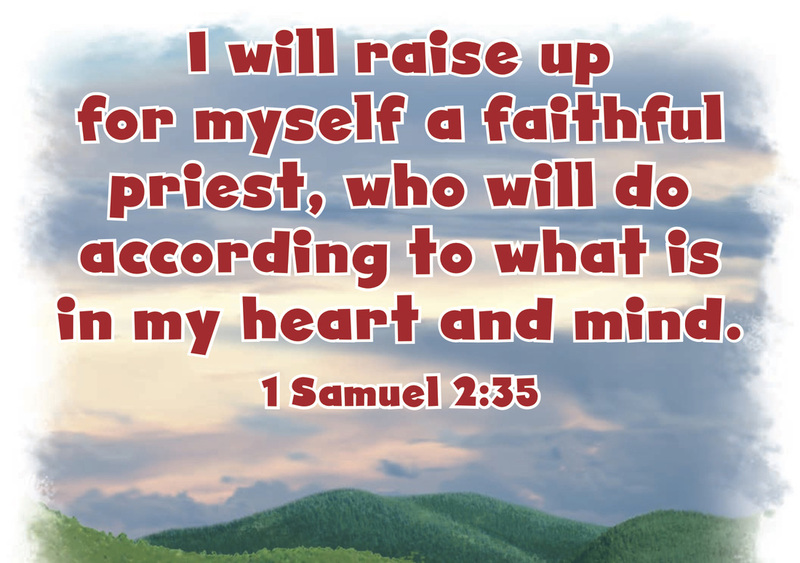 Boaz bought back the land that had belonged to Naomi’s husband and sons, and he married Ruth. Ruth and Boaz had a son named Obed. Naomi took care of Obed. When Obed grew up, he was the father of Jesse, who was the father of King David. Christ Connection: Boaz was a family redeemer. That means he would help his close relatives who were in trouble. Boaz cared for Ruth and Naomi because their husbands had died. 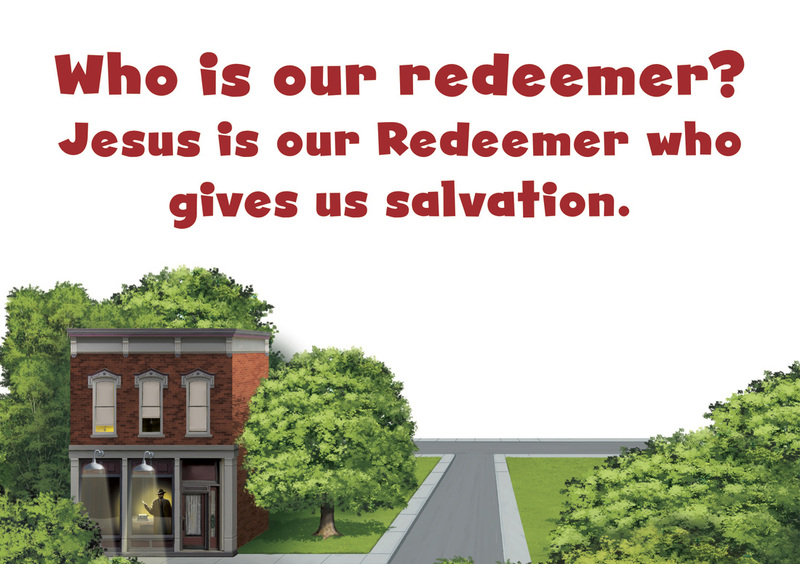 In a similar way, Jesus is our Redeemer. We need help because we sin. Jesus bought our salvation for us by taking our punishment when He died on the cross.